The readings from this past Sunday provide a powerful reminder for all of us concerning those who agree to follow and to work for the Lord. First, Isaiah, upon seeing the Lord, states: "Woe is me, I am doomed! For I am a man of unclean lips, living among a people of unclean lips; yet my eyes have seen the King, the LORD of hosts!" (Is. 6:5) Isaiah admits his unworthiness and sinfulness. Next, St. Paul describes himself to the Corinthians: “For I am the least of the apostles, not fit to be called an apostle, because I persecuted the church of God.” (1 Cor. 9) He also admits his unworthiness and sinfulness. Finally, in the Gospel, St. Peter falls at the knees of Jesus declaring: "Depart from me, Lord, for I am a sinful man." (Lk. 5: 8) He, too, acknowledges his unworthiness and sinfulness. All three of the above realized who they were before God. In fact, we are all sinners in need of redemption. This leads me to reflect on the current sate of affairs in the Catholic Church. 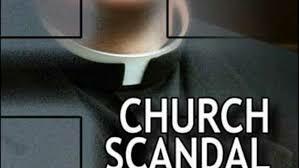 I need not reiterate we are once again facing exposure of the horrendous, scandalous behavior of priests that happened over decades. There have been crimes committed that make me sick and angry to the core of my being. Yes, we are all sinners. However, some of these sins are so grave that I can only describe them as nothing less than diabolical. How could a priest—someone ordained to stand in place of Christ (in persona Christi) in the sacraments—do such things? However, I refuse to be ashamed to be a Catholic priest. A crooked cop does not make all cops bad. An evil lawyer does not condemn all lawyers. Bad priests obviously did not live up to the Gospel call to repentance and conversion. Bishops or Cardinals who abused others were guilty of evil choices and behavior that would condemn any of us to hell. How does this evil behavior actually diminish what Christ did for us? In fact, it reminds us all the more how we need to abide by Christ and His teaching if we want to have eternal life and not eternal damnation. Without Christ we are nothing. We need Him now more than ever. We need the sacraments He gave us. And we still need the Church which He established. However, we need a purification of the Church that will only come through repentance and conversion. Be assured, our theology holds that the sacraments are still effective and confer grace (ex opere operato), regardless of the personal holiness of the minister (ex opere operantis) . Simply stated, this is because the saving action of Christ still takes place. Sacraments are not dependent on the personal worthiness of the minister as long as there is the intention to do what the Church teaches. The fidelity of God is constant, despite the infidelity of any particular minister. Please pray for your priests. The situation may get worse before it gets better. However, the Church, the Bride of Christ, is worth protecting and defending. Please don’t abandon Her when She needs you/us the most.